Did you know that if you have a 9 to 5 job, you’ll spend one third of your life at work? It’s true! That means keeping your workplace clean and inviting is just as important as maintaining a clean home. Do you wish you had some ideas on how to keep your workplace clean? A sanitary, organized and comfortable workplace will have a positive effect on productivity and on your employees’ mindsets. Even if your workspace is closed to the public it is important for team morale to maintain a space people are happy to come to everyday. And consider your business’s reputation; customers react better to a clean and organized workplace. It’s easy to get so caught up in day-to-day tasks that office cleanliness slips to the wayside, so here are 5 tips to keep your workplace clean! The best way to protect your carpet (and the investment you made in it) is to schedule regular professional carpet cleanings. 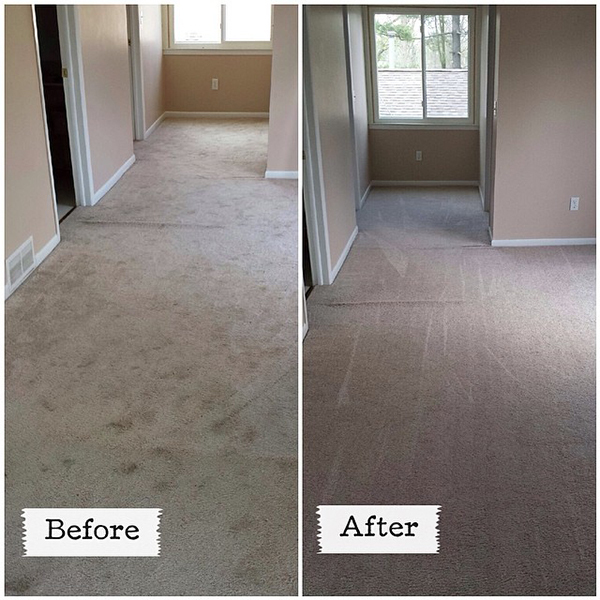 Dirt and small debris are tracked in every day by your staff, and continued buildup of even the tiniest particles can damage the individual carpet fibers. Regular cleanings will keep your business looking and smelling great. For a small business with only a few employees, yearly cleanings would probably suffice. A larger business or a public space with heavy traffic would benefit from more frequent cleanings on a commercial cleaning maintenance plan. 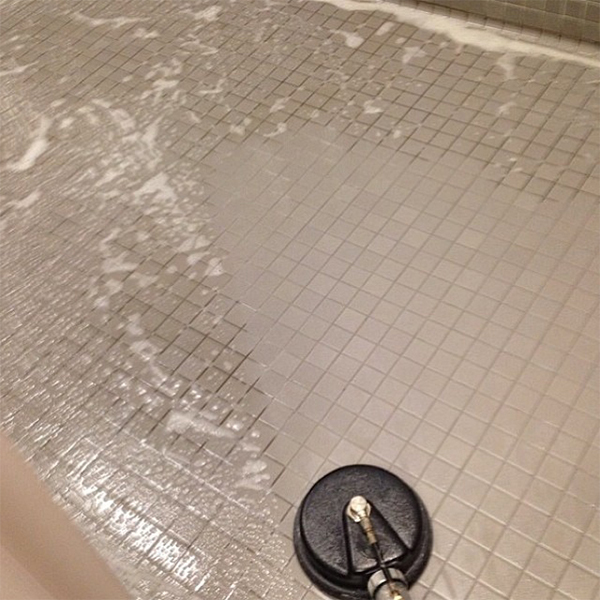 Many professional carpet cleaners offer additional products to protect your carpets. Take advantage of these products! 3M Scotchgard provides additional protection to your carpeting. This is perfect to apply to cubicle areas, break rooms, or areas with heavy traffic such as your lobby. 3: Don’t Forget About Air Quality! Out of sight, out of mind, right? 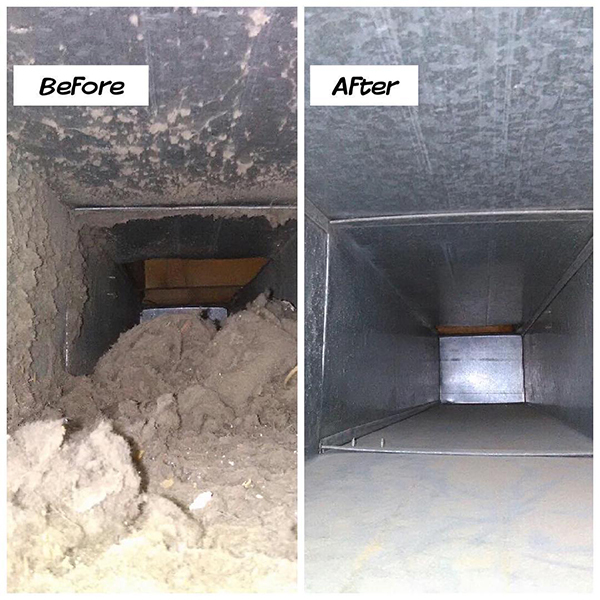 Air quality is not usually brought up in a conversation about cleanliness, which is why your HVAC system could be the filthiest part of your business! 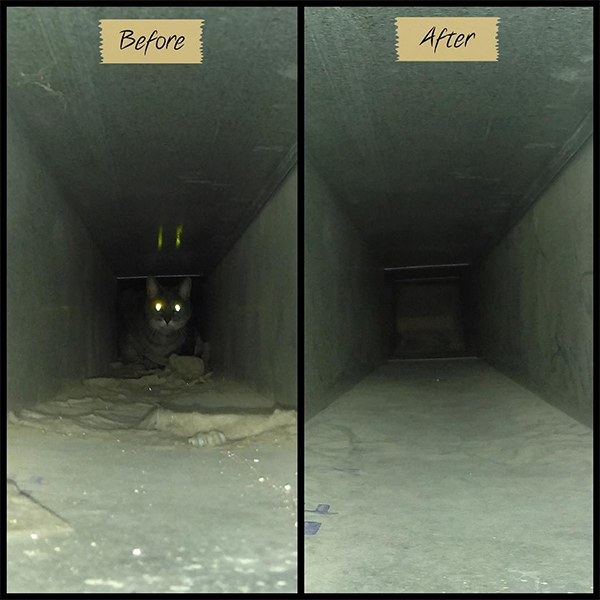 Your air duct system works around the clock to keep your staff comfortable. Over time, dust, dirt, dander, and other contaminants like mold and mildew will accumulate and circulate throughout your building. 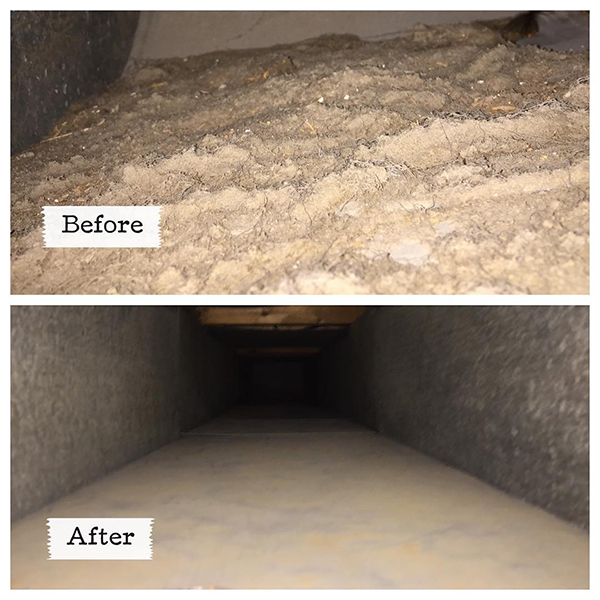 Keeping your air ducts clean will help your employees who suffer from allergies stay healthy, and the person responsible for cleaning will spend a lot less time dusting. In general, your office will feel much fresher and be a healthier environment for employees and customers alike. 4: Keep Cleaning Products Accessible – To Everyone! Don’t keep all the cleaning supplies behind lock and key! Even if you have someone who handles general cleaning make the supplies accessible to everyone. Disinfectant wipes are easily kept in office drawers and are perfect for wiping down a desk, keyboard, phone, and most other surfaces. Having these wipes accessible can greatly reduce the spread of disease! Swiffer dusters can also easily be stored in a desk drawer and are perfect for dusting those hard-to-reach places – like behind the desk and up near the ceiling! One of the first steps to creating a clean environment is to reduce clutter. Built up clutter can make even the cleanest and tidiest environments seem messy even though they are not! The best way to reduce clutter is make it as easy as possible to keep your workplace clean. Clean work spaces improve productivity, which is important for team health. It is also much harder for dust and grime to build up on a clean desk than one covered in piles of paper. Provide your employees with desk organizers and encourage them to maintain a clean and organized desk. You may be surprised at how excited people are about organizing their personal workspace! The office reflects the culture and work ethic of the people who occupy it. 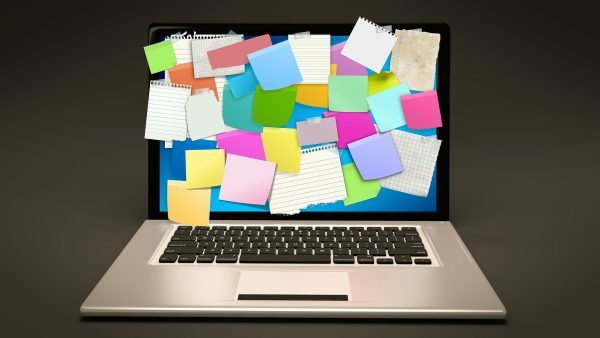 Disorganization can result is distraction, disrupted productivity, and eventually chaos. If the staff doesn’t pick up on it your customers will! Using these tips to keep your workplace clean will help will help your business make the right impression on staff and customers, new and old. And remember to lead by example! Modernistic has been helping Michigan businesses stay clean and organized for over 45 years! 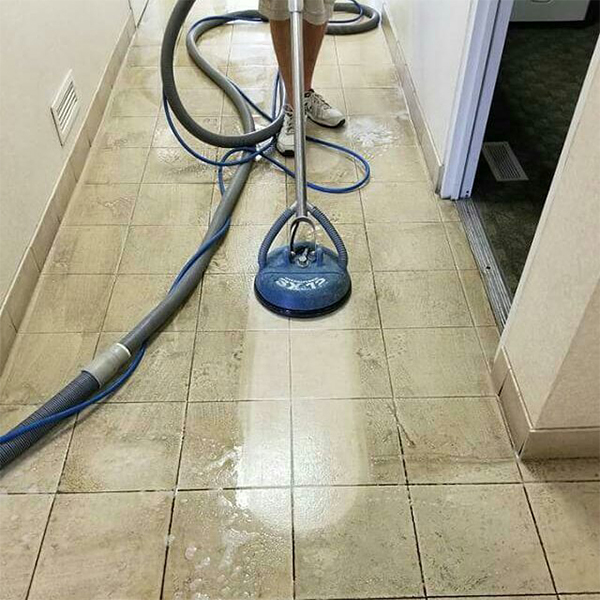 To learn more about our commercial cleaning maintenance programs, call us today or click here. 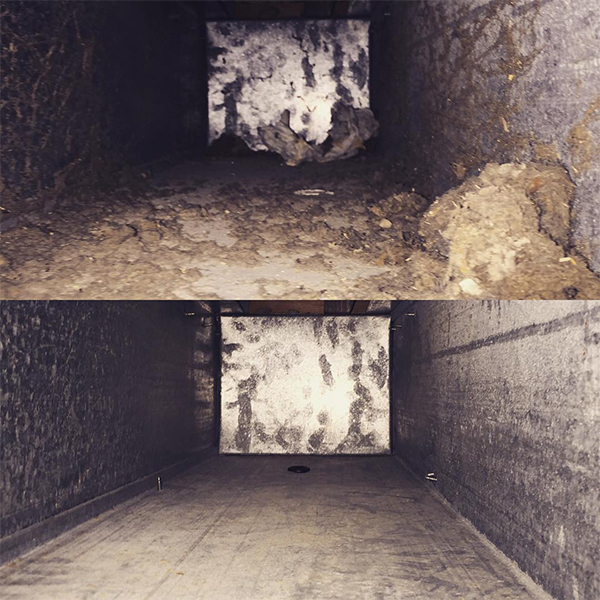 When we say we’ll get your carpet, upholstery, tile, and air ducts clean, we mean C-L-E-A-N! 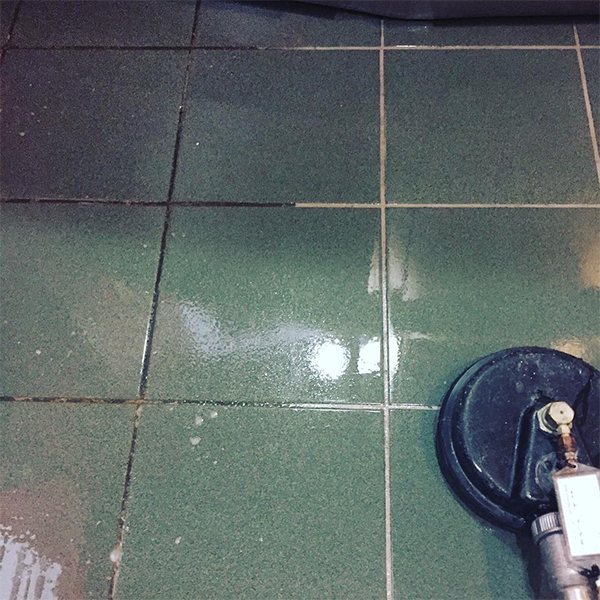 Check out these awesome before and after photos of the level of clean you can expect from Modernistic, and you’ll see why Michigan businesses have been choosing us for over 45 years! From small one-room offices to giant NBA arenas, Modernistic has been helping keep Michigan businesses clean for over 45 years. Click here to see how we can help your business look its absolute best. What reaction will your customers have? Have you ever walked into a restaurant, looked around, and immediately thought “There’s no way I’m eating here”? They lost your business because they didn’t make a good first impression. Maybe it was the décor, or nobody greeted you when you walked in, or there was that weird smell, but you knew right away. A potential customer will decide within 11 seconds of walking into your business whether or not they like you. Those 11 seconds are critical – you only get 1 chance at a first impression, which will greatly influence whether or not they do business with you. No one wants to lose out on sales, so here are 4 crucial ways to help your business make a great first impression with customers. Often the first point of contact that customers will have with your business will be on the web or over the phone. Make sure their experience is a good one that leaves them with positive feelings about your business. An out-of-date website or a confusing phone system will discourage customers from visiting you in the first place. Is there a live person answering the phone? Are they knowledgeable and friendly? How long do they have to wait on hold? Do they have to navigate a phone tree? A customer’s experience online or over the phone will often decide if they visit you or one of your competitors. Consider writing a script for your employees who answer the phone, and make sure your business’s information (like address and phone number) is up to date and consistent everywhere a customer can find it online. Your entryway should tell a customer everything they need to know about your business. The lobby is the “point of no return” for a customer. They’ve made a decision to seek out your business and, at the very least, committed to getting more information about you. Your lobby should reward them for that decision and commitment, giving your customers no reason to second guess themselves. That means your lobby should be orderly, welcoming, and above all, clean. Welcoming – Does your lobby put people at ease? The décor, the lighting, the building materials all play a part in helping customers feel relaxed. Did you know that watching fish swim around in aquariums helps reduce heart rate and blood pressure? It’s true! 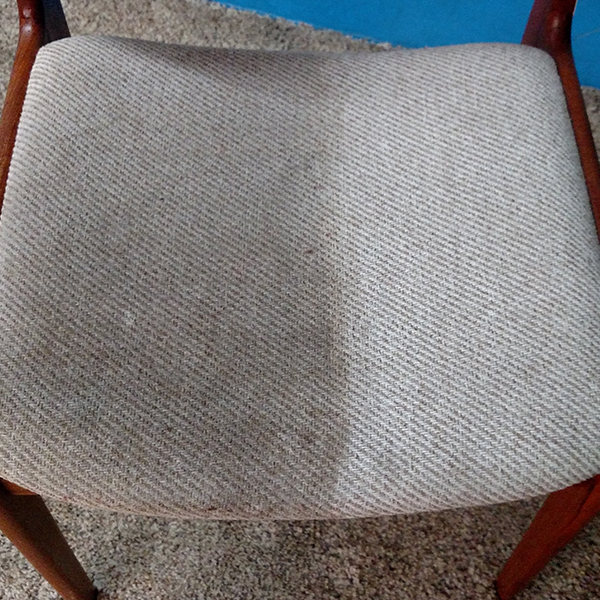 Clean – Are your floors, upholstery, walls, etc. free of dirt and stains? Nothing says “I don’t care about my business and, by extension, the problems of my customers” quite like stained carpet and dirty upholstery. It’s important to have a professional maintenance plan not only to impress customers, but to protect your investment – and your bottom line. A knowledgeable, friendly receptionist will go a long way towards making a good first impression with customers. As the first employee a customer sees, they are essentially the “face” of your business; it’s important they represent you in a positive, confidence-building way. Your receptionist/greeter/face-to-face marketing liaison (whatever you want to call them) should also know the ins and outs of your business. When a customer has a question or an issue, they will feel much more confident about your business if the first person they bring their problem to knows what to do to help. If a customer has decided to walk into your business to get information, have that information – and more – available to them! Be ready to make the most of every opportunity. Give them reasons to choose your company, or highlight additional products/services you offer, or why they should add on to their current service. This can be done through printed pieces, handouts, displays, or even your expertly-trained receptionist/greeter/F2F Mkg Liaison. Not only is this preparation professional, it helps maximize each customer who walks through your door. Fortune favors the prepared! From two-room offices to 20,000-seat stadiums, Modernistic has been helping Michigan businesses make a great first impression with customers for over 44 years. Click here to see how we can help your business look its absolute best. Who doesn’t love a professional carpet cleaning? 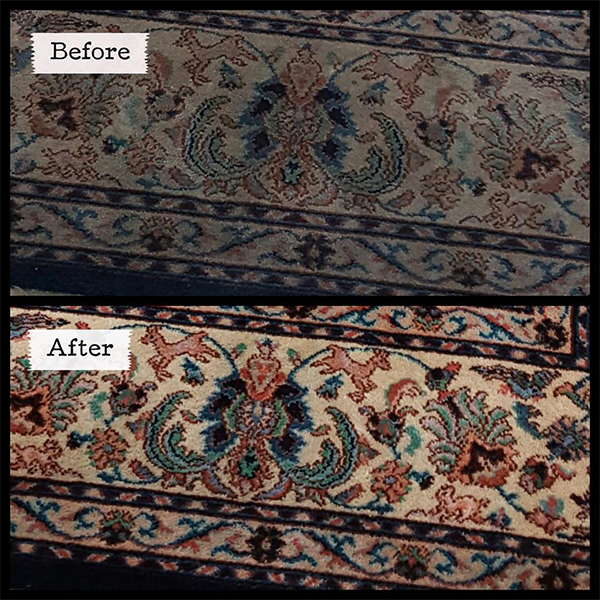 The fresh smell, the feel of revitalized carpet under your feet, the relief of being rid of those unsightly spots; Our customers certainly appreciate how pristine their floors look after we’re done cleaning them, and one of their most pressing questions is how to keep them that way. Here’s what we tell them. Have you ever used that orange soap? That industrial-grade, gritty, no-nonsense soap you usually find near a slop sink or auto shop? If you haven’t, it’s got a rough texture that scours whatever you’re cleaning. It does a great job of scrubbing dirt and soil off your hands specifically because it’s so gritty. 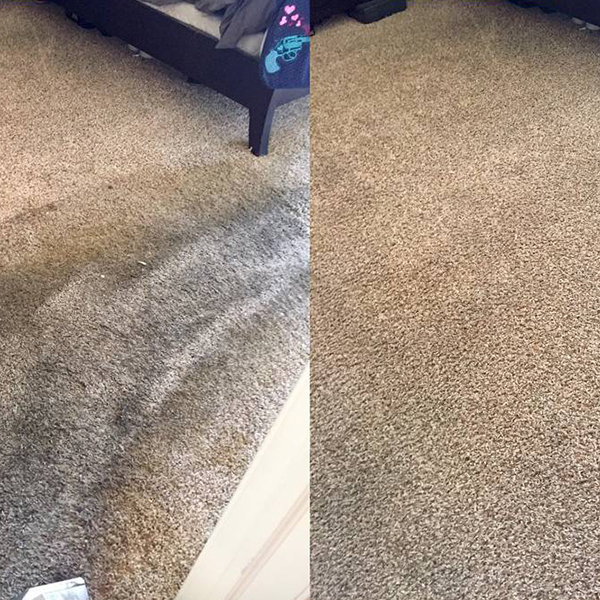 Your carpet experiences the exact same thing when it gets dirty. Up close under a microscope, dirt particles look a lot like broken glass. They act as an abrasive, scouring and grinding against whatever they come across. The unfortunate thing is your carpet isn’t nearly as resilient as your hands! 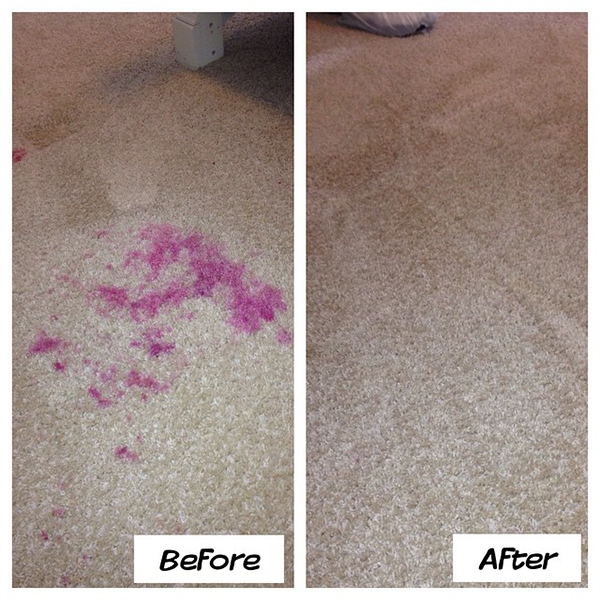 Dirt will cut up and wear down carpet fibers, which don’t heal like human skin. 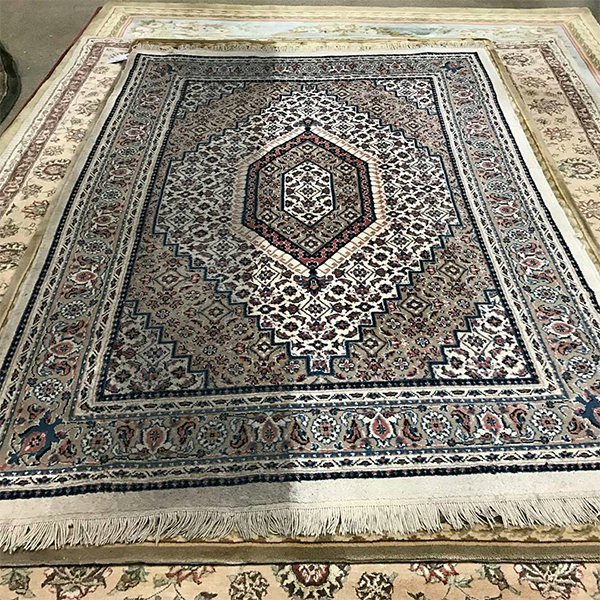 Over time, walking over dirty carpet will grind those particles into the fibers where you step, resulting in wear patterns in your traffic lanes. Not good! Once wear patterns form, that’s actual damage; all the cleaning in the world won’t fix damaged fibers! Get the dirt off your feet – Use door mats on any door that leads outside, and make sure to use them! You can also make it a habit to take off your shoes when inside. No dirty shoes, no dirt getting into your carpet. Keep your hard floor surfaces clean – Dirt sticks to carpet, but it slides right off hard surfaces like hardwood and tile. Keep these floors clean, and you won’t have to worry about transferring soil to your carpets. 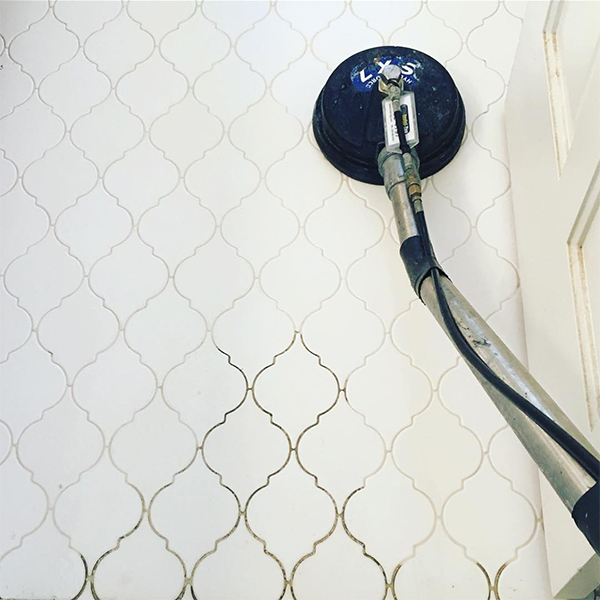 Vacuum frequently – Depending on the foot traffic your floors get, you’ll want to vacuum frequently and (most importantly) regularly. High-volume businesses especially should vacuum carpeted areas daily to keep them looking their best. 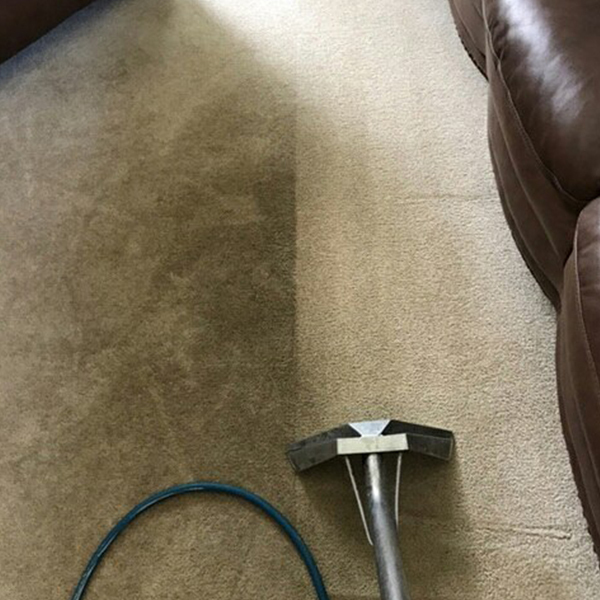 Have your carpets professionally cleaned – Since carpet fibers do a great job of hiding dirt, professional hot-water extraction cleaning should be scheduled regularly. Even if your floors don’t look soiled, dirt could still be hidden away, damaging carpet fibers and creating those horrible wear patterns. Apply fiber protection – After a professional cleaning, applying a fiber protector like 3M Scotchgard™ Protection will help repel dirt and stains, creating a barrier that will help keep the soil from destroying your fibers. With these tips, you should be able to form a maintenance plan that will help keep your carpets wear-free throughout their lifetime. If you still have questions, or would like a plan from the pros, contact Modernistic for all your carpet maintenance needs!